Welcome to Frye Roofing Inc.
Frye Roofing feels that commitment to quality workmanship, customer service and the well-being of employees are principles that have kept our organization strong for such a long time! Time for a new roof? 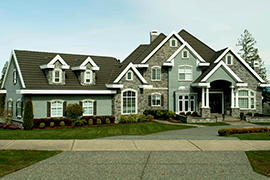 We're proud to serve the homeowners of the Virginias with premium roofing services. Whether you need a repair, replacement or new install, we will make sure the job is done right! 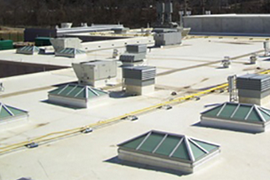 We're experienced with all kinds of commercial roofing and structures. If your business or commercial property needs its roof repaired, replaced or installed, we're the roofing contractor to call. Got a leaky roof? 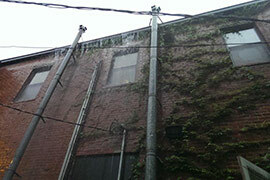 When your roof is damaged, we know you need it fixed...yesterday. Contact us and we'll get a team out to you as soon as possible! 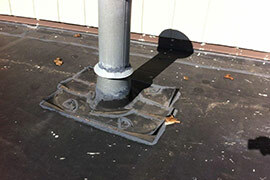 Our roof repairs are centered on your needs. Regular roof inspections and maintenance are the only way to identify and repair issues well before problems are seen inside. This will prevent costly damage to the interior and make your roof last longer. 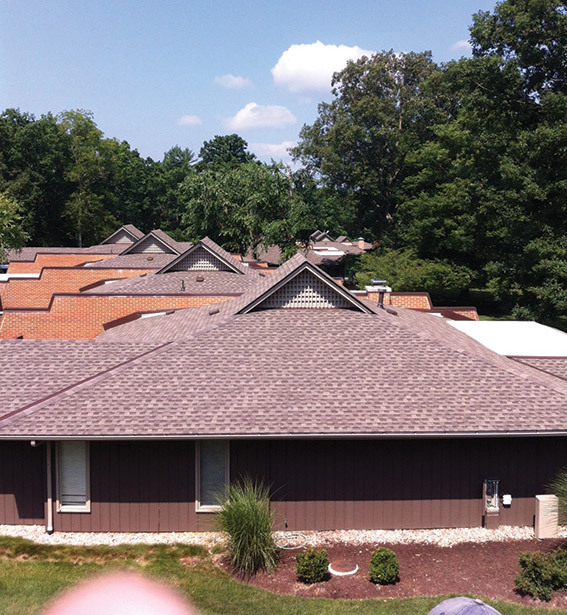 Since 1900, Frye Roofing, Inc. has been serving both commercial and residential markets with roofing services in a professional way. Our 100+ year history is testimony to our ethical business practices. Our business is built on honesty, integrity and dedication, given to all of our customers, employees, our communities and business suppliers. We believe this dedication along with top quality craftsmanship, products and service stands us above the rest. Our goal is to exceed our customer’s expectations by executing our motto: “Doing the right thing EVERY day”. What an amazing opportunity to work with Mike Rowe and Hudsun Media on the Five Loaves & Two Fishes Food Bank, Inc. project that was featured in an August of 2018 show Returning The Favor. We are honored to have been a major part of this project and to give back to our community at the same time. We first bid on this project two years ago and looked at many ideas to make it happen. Without the help of our vendors we just couldn’t have pulled it together. Thankfully, Mike Rowe stepped in and was able to get the job rolling, like he has done so many times across the U.S.! Mike and his production team were a pleasure to work with, and yes, Mike is as funny in person as he is on T.V.! As mentioned in the segment, a huge shout out goes to ABC Supply Co. Inc., Carlisle Construction Materials, Lusk Enterprises, and Citizens Building Supply . 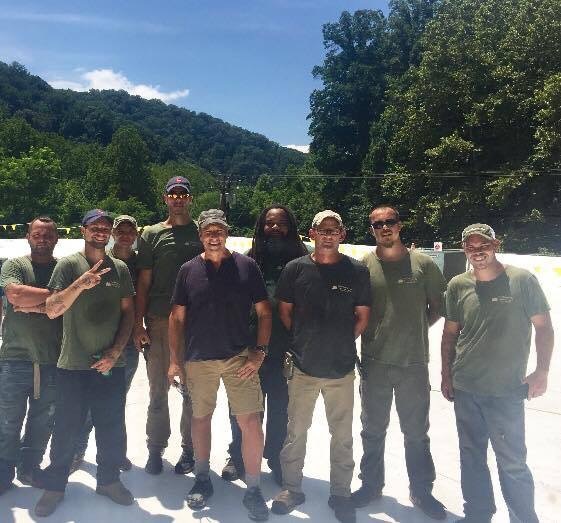 With their help, we were able to complete what normally would have been a two-week project in just two days and provide the food pantry with a brand new $80,000 roof system at no charge! Linda Patsey McKinney does amazing things for the Five Loaves & Two Fishes Food Bank with few resources. She is a true inspiration to McDowell County, and we are so proud to be a small part of her dream! © 2016 Frye Roofing Inc. All Rights Reserved. Powered by: Roofer Marketing 360®.